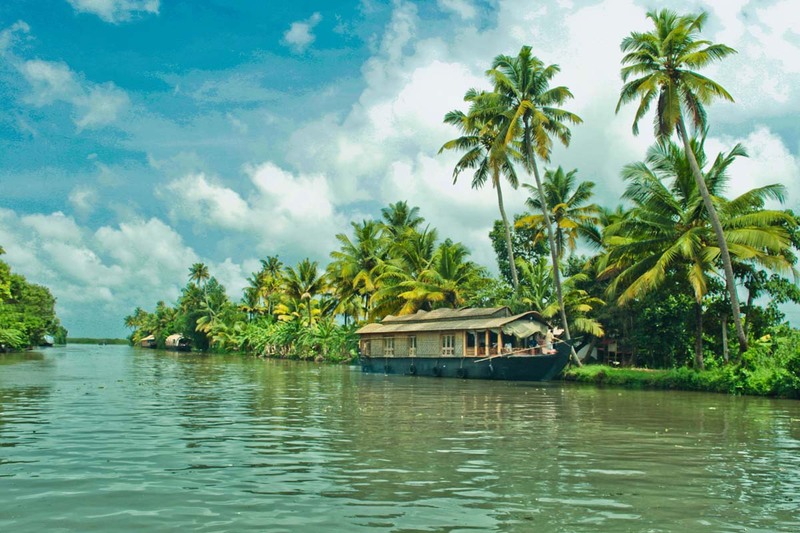 Kerala - the God's own country is one of the most romantic destinations in India, famous for its backwaters, beaches, hill stations, spa and Ayurveda treatments, water sports activities and much more. This Beach honeymoon package in Kerala takes you to the two most beautiful and romantic beach towns of Kerala; Varkala and Kovalam. Kovalam is a popular tourist destination known for its crystal clear beaches and water sports activities. Varkala is another beautiful and romantic beach town, but less explored and is, therefore, an ideal getaway destination for honeymoon. These two wonderful destinations, one known to be the Paradise of South India (Kovalam) and the other is famed for its natural springs and spas (Varkala), make for an ideal honeymoon getaway that you will remember for the long time. On your arrival at the Trivandrum Airport, meet our travel representative. After that we will drive to Kovalam and arrive there by afternoon. Kovalam offers an excellent diversity with Kovalam beach to suit all desires and occasions. Check-in at the hotel and enjoy rest of the day at leisure. Enjoy a comfortable overnight stay at the hotel. After a hearty breakfast, proceed for a sightseeing trip to Trivandrum. Later, drive back to the hotel in Kovalam. Spend the rest of the day at leisure on the Kovalam beach. Considered as the Paradise of South India, Kovalam consists of three adjacent crescent beaches and also tropical beaches that are picture perfect. Enjoy a comfortable overnight stay at the hotel in Kovalam. After a scrumptious breakfast, proceed for a sightseeing trip of Varkala – a small, peaceful place just 51 km from Trivandrum International Airport and 176 km from Cochin International Airport. Varkala’s main beach, Papanasam is long and golden with a stunning backdrop of red laterite cliffs that are surrounded by numerous water spouts and spas on the sides. 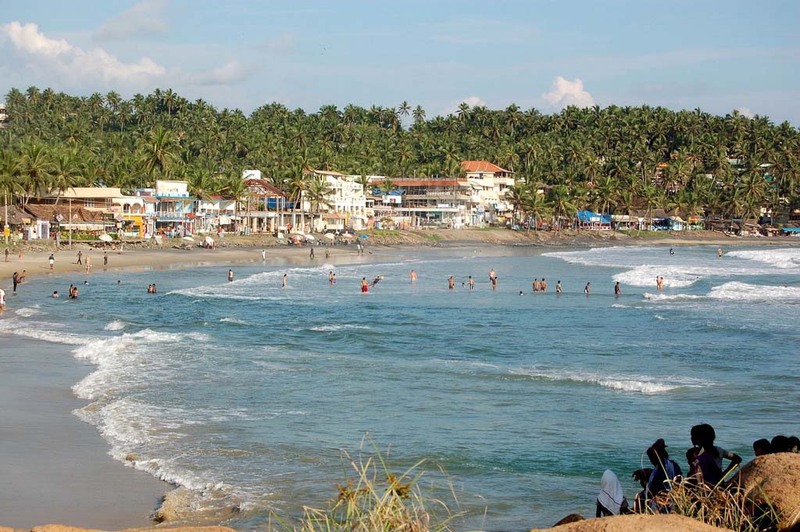 Varkala is flanked by endless beaches to the north and south. Varkala’s Temple Junction is home to the ancient Janardhanaswamy Temple dedicated to Lord Vishnu that was largely rebuilt in the 13th century. Enjoy a comfortable overnight stay at the hotel in Varkala. Today is the last day of the tour. After breakfast, bid adieu to Alleppey. You will be transferred to Cochin for your journey back home. Take with you the beautiful memories of Kerala with you and return again to the God’s own country. If you are not able to make up your mind from any of the tour itinerary or hotels listed above in Kerala Beach Honeymoon Package For 4 Nights, then we can also make changes and provide a customized, tailor-made romantic honeymoon vacations, especially for you. We can modify this package as per your budget, duration as well as the tourist places you’d like to visit or whether airfare should be included or not. This customization helps you make the best out of your honeymoon package with your loved one and keep the candle of romance burning.